A litlle more than two weeks before the the much anticipated first Slane Castle concert of the summer, MCD announced The Coronas, Bressie and Hamsandwich as supporting acts. Bon Jovi will perform at Slane Castle on June 15th. This will be the first Slane Castle concert since May 2011 when Kings of Leon headlined the famous venue. In August this year Eminem will also headline a show at Slane. 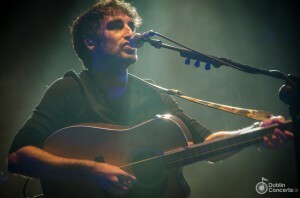 The Coronas left many fans wanting for more after their fantastic sold-out O2 performance in mid December last year. They will headline a charity concert in aids of Barretstown at The Olympia Theatre this week. Bressie’s second studio album titled “Rage and Romance” is currently topping the Irish album charts. The Mullingar native is a former professional GAA and rugby player, former frontman in a band called The Blizzards. Niall Breslin a.k.a Bressie is currently a judge on the Voice of Ireland. Ham Sandwich, one of Dublin’s most entertaining live acts, are currently working on their third album due for release this year. Tickets for Bon Jovi’s Slane concert, priced from €79.50, are on sale at Ticketmaster.